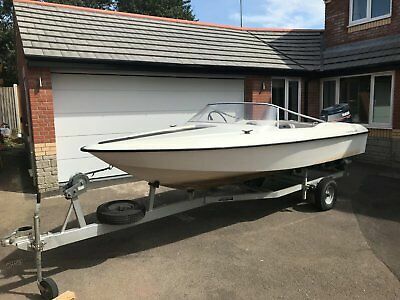 I took this boat on as a project and can’t find the time to get it together, if you know your way around an outboard and you’re familiar with boats this is a great opportunity to pick up a bargain. The engine runs but eventually stalls, it comes with the fuel tank and fuel line, battery, anchor, cover, propeller cover, trailer included. No reserve price!!! Need the space on my driveway! !